The classical music festival will take place in Pärnu on 10–17 August, featuring various world-renowned soloists, such as pianist Radu Lupu and violinist Lisa Batiashvili. The audience will also have the opportunity to witness Neeme Järvi himself step into the conductor’s stand. 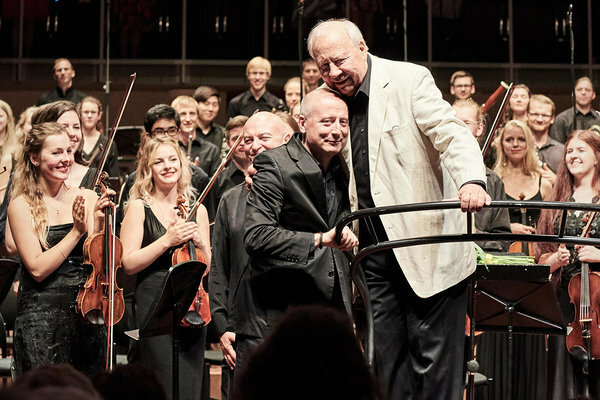 Järvi was recently granted the National Lifetime Achievement Award for Culture. According to Paavo Järvi, artistic director of Pärnu Music Festival, it is highly symbolic that his father’s birthday is being celebrated in Pärnu. “When I was a child, we always spent our summers in Pärnu. To me, Pärnu is a city of youth, all my best memories are from there,” says Järvi. Both Järvis have contributed extensively into the cultural life of Pärnu and it was Neeme Järvi who had the idea to build the concert hall, which is now the heart of the music sphere, in Pärnu. 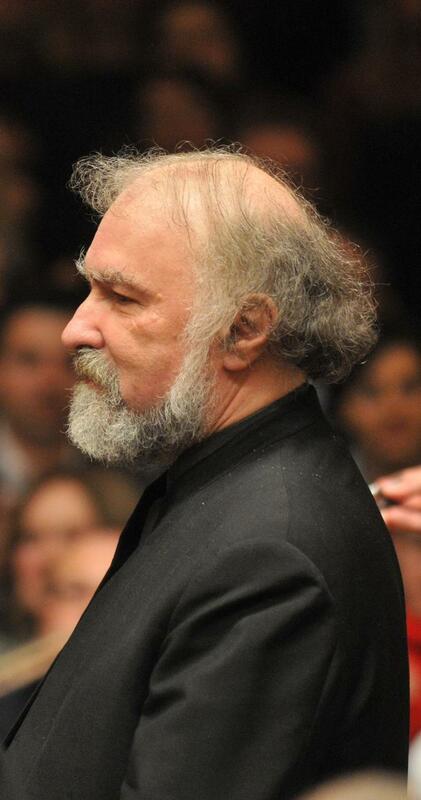 The most reputable soloist of this year’s festival is the 71-year-old pianist Radu Lupu, who is among the leading musicians of the world. “He can make powerful music, which is also intimate. Every time, I feel as though I am a better musician after one of his concerts,” says Järvi, who has performed with Lupu in the USA, Paris, and Germany. Radu Lupu is very selective when it comes to his co-performers, but Paavo Järvi has managed to get his foot into this tightknit group. Nevertheless, Järvi is still amazed that a legend such as Lupu has agreed to come to Pärnu. “This is his first performance in Estonia, so it is bound to be an extraordinary event,” he says. The Guardian has called Lupu’s performances radiant and bewitching. Lupu is especially praised for his performances of music from the Romantic era and it is exactly what the audience in Pärnu will be able to enjoy – the pianist will be performing Beethoven’s Piano Concerto No 4 at the festival. The Jewish-Romanian born Lupu made his debut at the age of 12 when he performed his very own creation. His status as a prodigy continued into the future and when he was 16 years old, Lupu got a scholarship to study at the Moscow Tchaikovsky Conservatory. After graduation, he emigrated west where he continued his music career in the USA. By today, Lupu has performed at the most renowned festivals in the world, soloed in front of the most famous orchestras, and won the most prestigious awards for his piano performances. Despite all this, he is still a relatively reclusive person – he avoids recordings and photo sessions and has refused to give interviews for more than 30 years. The idea behind this is most likely that music is what matters, not the performer. “According to Lupu, the present moment is what is important. He just wants to make music and believes that making records is just a way to feed your own ego. I feel bad for the next generation, as they will miss this, but at the same time, this will place extra significance to the summer concert in Pärnu,” says Paavo Järvi. As an interesting fact, Järvi adds that at the end of every concert, the old maestro says that this is it, this is his last performance. 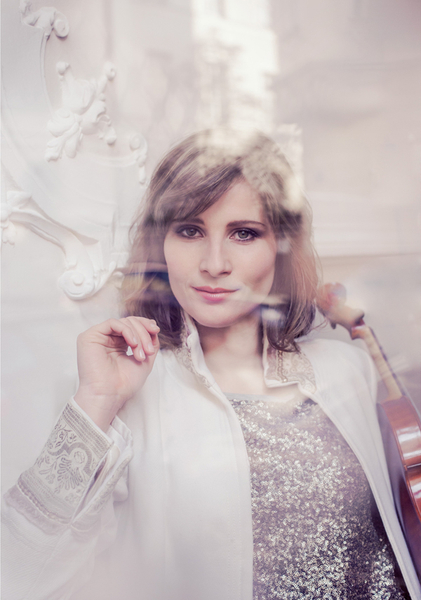 Another noteworthy soloist is violinist Lisa Batiashvili. According to Paavo Järvi, Batiashvili is a star of the younger generation, who is known for her extraordinary technical precision and musical elegance. “One of the best Sibelius’ violin concertos I have performed with Lisa was in Paris,” recalls Järvi. Batiashvili collaborates with the most reputable musicians in the world: Tchaikovsky’s violin concerto, which will be performed in Pärnu in the summer, was recorded in the collaboration of the violinist and the famous conductor Daniel Barenboim. The album was granted the highest marks by the music critics of The Guardian. Lisa Batiashvili, born into a Georgian family of a violinist and a pianist, received her musical education in German. At the age of 16, she won the highly renowned Sibelius Violin Competition. Soon after, she began working with BBC and concluded contracts with the New York Philharmonic and Sony Music. The year before last, Musical America named Batiashvili the artist of the year. Batiashvili records exclusively for the Deutsche Grammophon record label. In addition to magnificent musicianship, Batiashvili is also known for her strong political beliefs. “A lot of people are afraid of offending anyone and beat around the bush, but Lisa Batiashvili is not ashamed of her political convictions. She is a great critic of Russian aggression, especially with regard to Georgia and Ukraine. On more than a few occasions, she has compromised her position in the musical world with her straightforwardness and unyielding principles. This is very imposing for me,” says Paavo Järvi. In Pärnu, Lupu and Batiashvili will be soloing in front of the Estonian Festival Orchestra, which has been praised for its sound and performance quality by many leading music critics in the world. A quarter of this year’s festival orchestra will compose of the Tallinn Chamber Orchestra known for its magnificent harmonic sound. After the festival, the Estonian Festival Orchestra will set out on its first tour abroad. Conductor Neeme Järvi (1937) has led all the best-known symphony orchestras in Europe, North America, Japan, and Australia. During his career, Järvi has conducted more than 150 orchestras. He has more than 400 records, which makes him the most-recorded conductor of today. Järvi has promoted Estonian music to a significant extent, with a special emphasis on Eduard Tubin’s oeuvre. Next to his many recordings and numerous concerts, he has actively and extensively contributed to the development of Estonian cultural life.